Rangolis are part of every Indian household. This readymade rangoli is mostly used for corner places. Decorated with stone and made of wood, this rangoli is the perfect adornment for Pooja or any decorations. They can be arranged in different forms to create new designs. 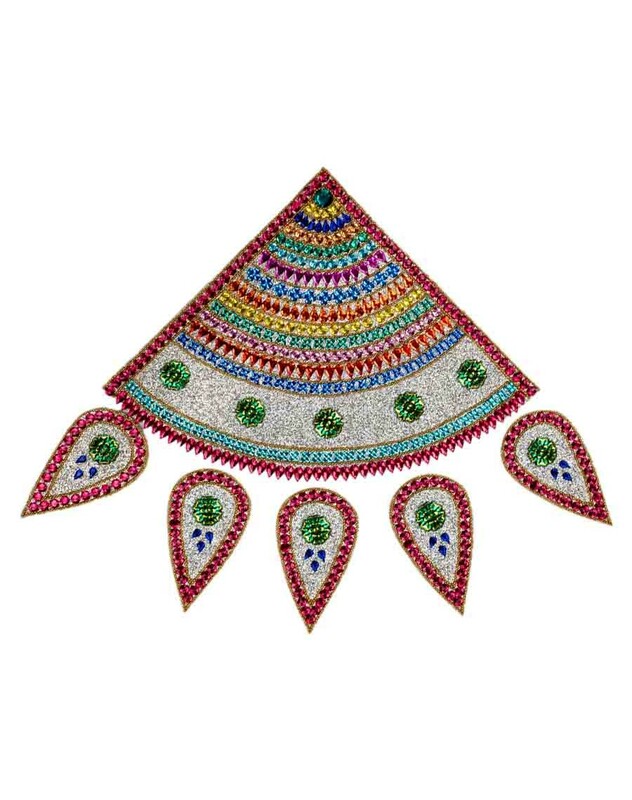 This can be used in Pooja room or in any part of the house.